Last Friday Steven Spielberg’s Lincoln opened in limited release. I haven’t seen the film, but I intend to because I want to see which Lincoln will be featured on screen. I have known many Lincolns throughout my life. When I was a young child I was told that Lincoln freed the slaves and was one of the country’s greatest heroes. As a teen I was told that Lincoln was actually a shrewd diplomat who only freed the slaves to undercut the Confederacy. In college I was introduced to a much darker version of Lincoln; one who was a white supremacist and no civil rights hero at all. How can this be? How can there be so many versions of the same man? How can they be so polarized? Who is the real Abraham Lincoln? It wasn’t until I read Lies My Teacher Told Me (1995) by James Loewen that everything clicked into place. In case you’ve not been exposed to the book yet, Loewen’s book is a content analysis of high school history textbooks. Loewen set out to find what is and is not being taught in schools in the U.S. This sounds damning to be sure, but if we add the sentence that Lincoln wrote just after this sentiment, a more complex version of the man emerges. Without that last sentence it’s easy to see how both white supremacists and Black activists could argue Lincoln was a supremacist underneath it all. This is not to say that Lincoln really was the civil rights hero the history books make him out to be. Lincoln at some points in his life advocated white supremacy, while at other times he fought against systemic oppression. I can’t do Loewen’s book or even the chapter dealing with Lincoln justice. I hope that this brief discussion of it will encourage you to read it for yourself if you haven’t already. The film Lincoln, Loewen’s book, and the version of Lincoln living in your students’ minds is an opportunity to discuss a whole host of sociological issues. From the social construction of reality to the hegemonic aspects of education, Lincoln is an invitation to a show your students how sociology permeates through our history and our present. Students These Days Are Terrible! “Ugh, I can’t believe we have to learn this crap,” said an older male student to a classmate. ”I know, right. This class is a joke," said a younger woman sitting next to him. The two of them looked liked the rest of the students in the room. I was observing another instructor’s class and he had a TOUGH room. The instructor, who I’ll keep anonymous, tried every trick in the book to get the students engaged. He used thought provoking questions. He beamed with enthusiasm for his topic. He used engaging activities like think/pair/shares. It made no difference. This was a class full of faculty learning to use a new piece of class management software. At that moment it occurred to me; faculty are some of the worst students ever. “Students these days are awful!” is a common refrain in faculty meetings around the world. When faculty get their “shop talk” on, it’s only a matter of time before some one says, “When I was a student we had to [fill in the blank with some studious, noble, or other behavior which makes students of yesteryear sound righteous]” Frustrated faculty are certain of one thing; students today are not what they used to be. Inside their frustration, which is undoubtedly warranted, faculty fall victim to the fundamental attribution error. When we think about why other people behave the way they do, we are prone to attribute another’s behavior to who they are as a person instead of attributing their behavior to their circumstances. So when we say “students these days” we are stereotyping based on the idea that students today are fundamentally different in character than we were when we were students. We are sociologists who implore our students to use empirical methods to understand how the larger social context affects the actions of individuals. Then in our next breath we use our anecdotal experiences to decry the individual characteristics of our students “these days”. That’s rich, no? The next time you have a “students these days” sentence dancing on your tongue, try to remember the last time you participated in a learning situation. 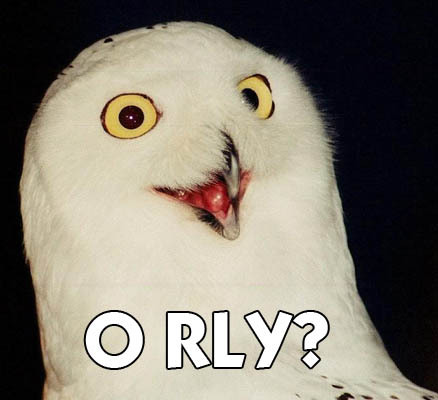 Did you do the assigned reading? Did you play on your phone during the meeting? Did you have a face on that looked utterly bored to death? Did you struggle to keep from dozing off? Chances are if you think long enough about your own recent classroom behavior you may find that “faculty these days” are pretty similar to “students these days”. And when you find empathy for your students I’m betting you will find it much easier to reach them and teach them. These are the news events, stories, and links that I am discussing with my students in my Soc101 classes. Want to share a new event with me to include in the next teachable moments? Send them to me here. U-Conn Coach Auriemma wants to lower rims in NCAA women’s basketball to raise the popularity of the game. – Start a class discussion about equality vs. equity. Also, how gender norms affect the popularity of women’s athletics. Missouri Pastor’s “anti-equality” speech with a surprising twist ending. – A great comparison of LGTBQ/GSM rights to civil rights. UK Drug Policy Commission encourages the decriminalize the possession of small amounts of drugs – Great way to start a discussion about labeling theory and the social construction of a crime. California bans “conversion therapy” for minors. UrbanSitter is a new web service that will pair parents with a babysitter. – I plan on talking about this in my Social Change class. Gets at the depersonalization of work that Ritzer talks about in The Globalization of Nothing among many other places. The always great Philip Cohen explaining the Regnerus controversy in 4 minutes. Maintaining healthy relationships with students is all about establishing boundaries. While this may sound obvious or even simple, it’s often not. In this episode of the SociologySource Podcast, Chris and I delve into creating and sustaining boundaries, the challenges of teaching big classes in a small town, and what to do when the personal spills over into the professional. Download/Listen to The SociologySource Podcast. 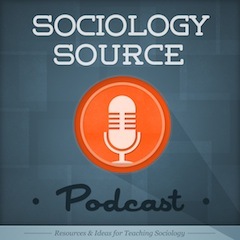 If you haven’t already, subscribe to the SociologySource podcast. It’s gone. Goodbye my friend. Because of an outdated credit card number my domain service did not renew the .com version of my name. I’m unwilling to pay to get my domain back because I refuse to support an unscrupulous business model. www.SociologySource.com is dead, long live www.SociologySource.ORG. At first I was feeling angry, sad, and ashamed (how could I be so stupid?). But not any more. Everyday I walk into a classroom I get to live my dream. I am one of the few people on earth who get to do what they love and love what they do. I started SociologySource because I was going to burst with enthusiasm and passion for teaching and learning if I didn’t find some place to release it. Two years later I feel more invigorated than ever; in the classroom things have never been better. Writing and sharing here at SociologySource has made me a better teacher, a better student of sociology, and a better person. To all of my friends I’ve met on this ride, I can’t thank you enough for all that you’ve given me. Talking with readers and fellow sociology teachers has been without a doubt the best part of this whole experience. How can we grade our students fairly? What should we be grading them on? And how can we grade written work in our large classes and still see our families? Orlando Cruz becomes first active boxer to announce he is gay – Pairs nicely with this other story about masculinity, sports, and the LGTBQ community.